Prosecco is all the rage these days. It’s fresh and fruity, fabulous and fun. Here’s everything you need to know about this beloved Italian fizz. Though you might just be realizing that Prosecco is amazing, Italians have known for more than 2,000 years. Made from the Glera grape (at least 85%), Prosecco has a long history, evolving over time to be the fresh, fruity fizz we know and love today. It’s now so popular that Italy is producing more than 200 million bottles a year! The world just can’t get enough of these bubbles. A Prosecco is only a Prosecco if it comes certain origins in Italy, most particularly the Valdobbiadene region. Part of why Prosecco is much more affordable than say Champagne, is that it is made using the Charmat method, a.k.a. tank method. So instead of the second fermentation taking place in the bottle, it happens in stainless steel tanks, reducing costs and much easier to manage. However, some producers are using the traditional method as they evolve. Production methods are not regulated, but you can generally assume that your Prosecco used the tank method. Because of Glera’s fruity profile, featuring green apples, melon, pear and honey, it’s often perceived as sweeter than it actually is. However, most Prosecco sparkling wines are a brut style, which is dry (0-12 g/L of residual sugar). There are also Extra Dry and Dry Proseccos, but note that the terminology is slightly confusing. Brut is the driest, followed by Extra Dry Prosecco (12-17 g/Lresidual sugar) and Dry Prosecco (17-32 g/L residual sugar). And while most Prosecco wines are a “Spumante,” you can also find “Frizzante” styles, which are slightly less fizzy. Prosecco DOC – most common fizz that can come from nine provinces throughout the Veneto and Friuli-Venezia Giuiflia regions. Prosecco Conegliano Valdobbiadene Superiore DOCG – concentrated sparkling wines from an area between Valdobbiadene and Conegliano. Colli Asolani DOCG – high quality wines from a small hillside across the river from the Conegliano-Valdobbiadene region. Prosecco Conegliano Valdobbiadene Superiore Rive DOCG – a mouthful to say, but excellent in mouth. Can come from any of 43 designated communes in the Conegliano-Valdobbiadene area. Valdobbiadene Superiore di Cartizze DOCG – the best of the best from just 265 acres outside of Valdobbiadene. 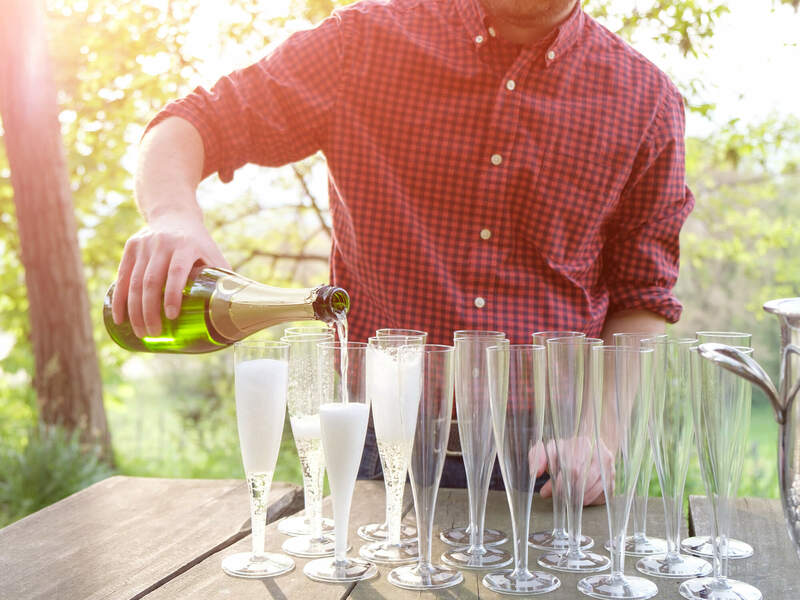 As we mentioned recently in our New Year’s Eve Guide, Prosecco is all about the here and now. It’s a sparkling generally meant to drink now and pairs well with an array of dishes and moments. One of our favorite Prosecco pairings is brunch. Because of its slightly sweet taste and fruity profile, it makes a mean mimosa. A weekend classic. So go grab some Prosecco wines and enjoy! Helping you savor each and every glass is zzysh® Champagne Preserver, which works on all types of sparkling wines. 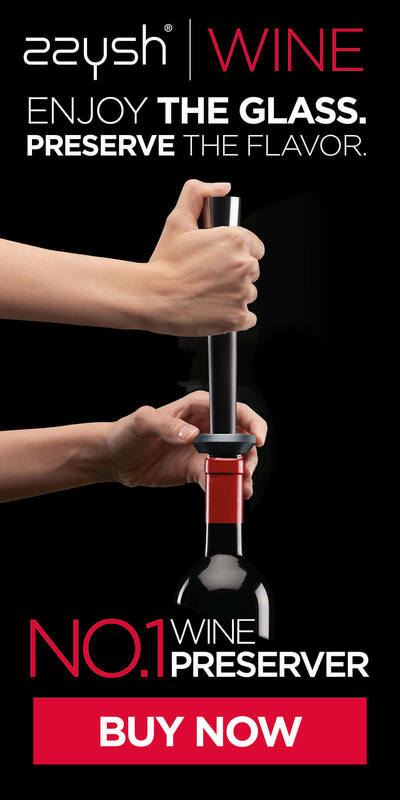 If you can’t finish the bottle, just seal it back up with our revolutionary stopper, zzysh® it and preserve its fizz, color, flavors and aromas until you’re ready for another glass. Want to know more about the possibility of preserving sparkling wines for weeks? Click the button below!